Pest Control Center, Inc. is one of very few pest control companies still offering solutions for tunneling and burrowing vertebrate pests such as California Ground Squirrels, California Voles, Moles and Gophers. These mammals can cause extensive damage to landscapes in California and Oregon. 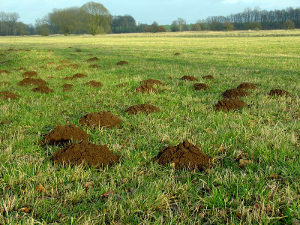 Their burrows and tunnels not only damage your plants and lawns, but can, at times present a hazard to humans and large animals, such as horses and cattle. The wrong step can easily result in a fall, causing a broken leg, ankle or worse. We’re experienced in the methods of controlling these nuisance animals. Why not give us a call and give yourself the peace of mind that comes from knowing that your landscape (and your bones) are just a little safer? Because of the number of variables, all Burrowing Vertebrate services are quoted on an individual basis. Contact us to schedule an appointment for a free inspection and quote.